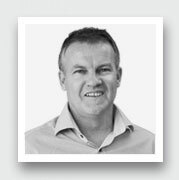 Andrew is the founder of Sunstar Entertainment, boasting 25 years of experience in the field of sport and entertainment. Andrew’s expertise is extensive, having worked across Talent Management, Sponsorship, Sales & Marketing, Events and Production, producing over 50 live and post-produced sporting events for television and several documentaries. 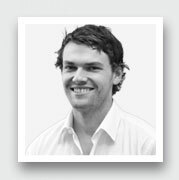 In the Talent Management field, Andrew has represented many of Australia’s highest profile sports stars. With a passion for cricket, Sunstar’s talent has a heavy focus on this sport. Andrew represents some of the superstars of the game, including Mitchell Starc, Alyssa Healy and Australian women’s captain, Meg Lanning. He’s also managed the career of around the world sailor Jessica Watson. Andrew was Event Director for Jessica's epic homecoming in May 2010, which was watched by millions via a live broadcast on every TV network in Australia and 100,000 people around Sydney Harbour. It was voted Australia's Favourite Event of 2010. Andrew was Executive Producer on Jessica’s documentary '210 Days', which was narrated by Sir Richard Branson. Andrew has worked in the film industry since 2012, acquiring and developing Sunstar's slate of properties, including the Academy Award nominated, box office hit LION, on which he was Executive Producer. In addition to his work in the talent and film sectors, Andrew has made a significant contribution to his local community, having sat on the Board of the Manly Warringah District Cricket Club in Sydney for 30 years, including the past 15 as Honorary President. Andrew played for 25 years and is a Life Member of the 140 year old Club. In 2014, Andrew delivered the biggest crowdfunding campaign ever, for a personal cause in Australia, when he instigated the “All in for Alex” fundraiser to assist his terminally ill 41 year old niece Alex Piper, who had breast cancer and was struggling financially, as her husband Matt is 100% blind and unable to work. The campaign raised over $1 million for Alex, Matt and their three young children. Sadly, Alex passed away in January 2015, just 3 weeks after the campaign, but in the knowledge her family’s financial woes were solved. In 2016, Andrew was awarded the prestigious Community Service Award by the Government of NSW, in appreciation of his contribution to the community. 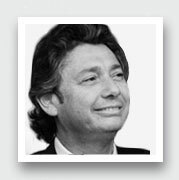 Shahen has been involved in the field of finance and investment banking for over 30 years. He holds a Bachelor of Economics (Sydney University) and Master of Economics (Macquarie University). He is a member of the Institute of Chartered Accountants , Registered Company Auditor, Chartered Tax Adviser and a member of the Taxation Institute of Australia. During the past 6 years, Shahen has had extensive experience in various aspects of the TV and Film production in Australia. He has been an integral component in the production slate Sunstar has acquired and is an Executive Producer on each of our feature films. Shahen brings further dimension to the strong industry credentials of Sunstar, given his significant experience in all aspects of business negotiation, legal and accounting disciplines. Matt is a writer and gifted actor. He starred alongside Vin Diesel in the Box Office hit, “Riddick,” whichhit USD $100M in sales at the Box Office. He had a busy 2013 schedule, having worked with Ewan McGregor in “Son of a Gun,” released in 2014 and also starred in“Incarnate” alongside Aaron Eckhart. Matt has starred in The Killer Elite alongside Clive Owen and Robert De Niro and 33 Postcards alongside Guy Pearce. He wrote and starred in The Final Winter (2007), an independent Australian film that has since been released internationally, and appeared in the series of East West 101 (SBS Television). Matt played the lead in the Australian TV series Bikie Wars: Brothers In Arms (2012) on Network 10 and Underbelly: Badness (2012) on the Nine Network – both of which were hugely successful in Australia. Matt divides his time between Sydney and Los Angeles. He is the author of the novels We Don't Live Here Anymore (2009) and Faces in the Clouds (2011). 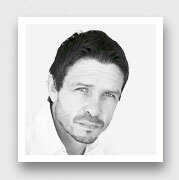 In 2014, Matt, 42, was signed to play Ra's al Ghul, the leader of the "League of Assassins" in the TV hit series “Arrow”. Ghul is considered one of DC Comics' most iconic villains and, in the pages of the comic books at least, is a major nemesis of Batman. In Arrow, however, he will not meet Batman but rather goes head to head with the show's star character, Arrow, played by Stephen Amell. The deal, which puts Matt on a major US television series and on the payroll of a major US studio, Warner Bros, comes as he has finished filming on the Nine Network's Gallipoli miniseries. Matt wrote the screenplay for A Sunday In The Village - which is a Feature Film in Development with Sunstar and See Pictures. His most recent feature film project, 1% which he wrote and starred in, is set for a US theatrical release in February, 2019. Matt's profile continues to rise. Jake joined the Sunstar Entertainment team as Account Manager in 2012. Jake has completed a Diploma of Business Marketing, majoring in Sports Management with a Distinction Average at Macleay College in Sydney. Jake's role includes preparation/executing sponsorship and personal endorsements, scheduling media/commercial appearances and liaising with sponsors to meet marketing objectives for our clients. Jake manages Sunstar's digital assets and has developed many of the Social Media profiles for our clients. In addition to the communications and talent management roles, Jake also works as a production assistant on our film projects.